With anticipation I met a relaxed and personal Mitt Romney last night. His acceptance speech shed some light on who he is as a father, husband and business man but for me, something was missing. Maybe I was still stunned by Clint Eastwood’s imaginary discussion with the President. It made the night memorable but not sure in the way it was intended. Taking the podium earlier in the night, Marco Rubio delivered a powerful narrative based on his Cuban heritage, but one that is shared by many American immigrants striving for the dream of better opportunity and genuine options for their children. While it didn’t define who the Republican Party is today, it offered a glimpse of what the party could be in the future. And Jeb Bush did a valiant job keeping the legacy of the Bush family alive, begging the question – will he run in 2016? He was right. We DO have a choice and a decision to make, but where exactly does Romney want to lead us and specifically how. His speech failed to mention important policy issues like veterans, immigration, climate change, financial reform, or Social Security. It was consistently vague on the issues that matter most, to undecided, independent voters. The audience cheered Romney and he highlighted his achievements at Bain Capital but barely mentioned his term as Governor. Remember in 2000 when President Bush labeled himself a “compassionate conservative?” Whether you believed him or not, it stuck and we had an idea of who he wanted us to believe he was. The convention is over and Governor Romney has sixty-one days to convince America to make a “change.” I still am not convinced. The sadder thing is today I know more about Marco Rubio, Condeleeza Rice, and Chris Christie’s vision than I do about the nominee himself. Along with many other Americans, I hope to hear something substantial about Romney’s plan for our nation’s future. I hope to learn where exactly he stands on the issues of economic recovery, the wars, education and other serious concerns that matter to most voters. We can all agree with lofty platitudes about “believing in America” and we are all for prosperity, but now is the time for Romney to tell us who he is beyond the personal and give us something to believe in and vote for. 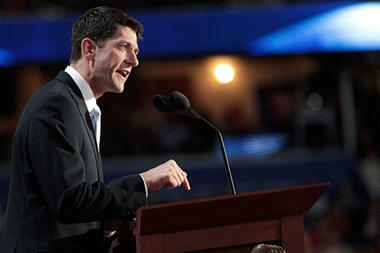 Vice-Presidential nominee, Congressman Paul Ryan headlined a long array of speakers last night at the RNC. His speech was a full-on attack of the President and his policies and the state of economic recovery. Warming the audience before Ryan were former Secretary of State Condoleeza Rice and Senator John McCain. Senator McCain went after the President and questioned his foreign policy decisions. Secretary Rice spoke about her White House experience, touched on foreign policy, emphasized education and more personally, her upbringing. Interestingly neither of the GOP old guard spoke of President Obama by name nor mentioned the ongoing wars Rice engineered and that McCain supported. On the other hand, Congressman Ryan went on a full scale attack of the President. Unfortunately it was riddled with inaccuracies better suited for those not following the political conversation and for feeding the right wing of the Party. What was sorely missing was vision. I worry about the viability of a platform devoted exclusively to disparaging an administration without offering up an alternative plan. 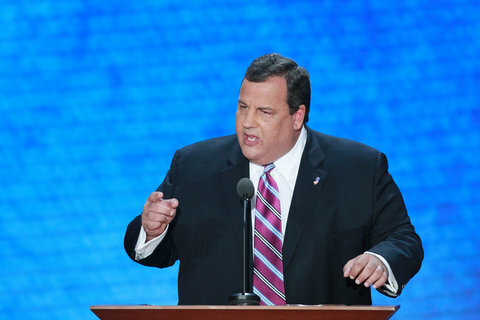 Perhaps we will hear that agenda tonight from Governor Romney, he has a lot to do in his speech. He needs to convey personal touch that he can relate to the pain of the average American. More importantly that he has a real vision for the future and the economy. 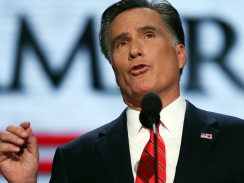 In short, Romney needs to step back from the barrage of attacks on the President and deliver to America his plan.